Nutmeg Pomona #16 met at Beacon Valley Grange on December 2nd. Attendance was good. Hopefully we will have members from some of the other Granges attend in the future as we all get used to this new agenda. 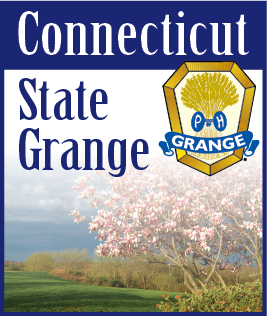 Our next meeting will be held at Cheshire Grange on Sunday, March 24, 2019 at 2:00 P.M. Mark your calendar and save the date. The program for this meeting is entitled “Has Spring Sprung Yet?” With the weather we have been having, I’m sure we will all be looking forward to spring. Refreshments are in the charge of Redding and Harmony Granges.